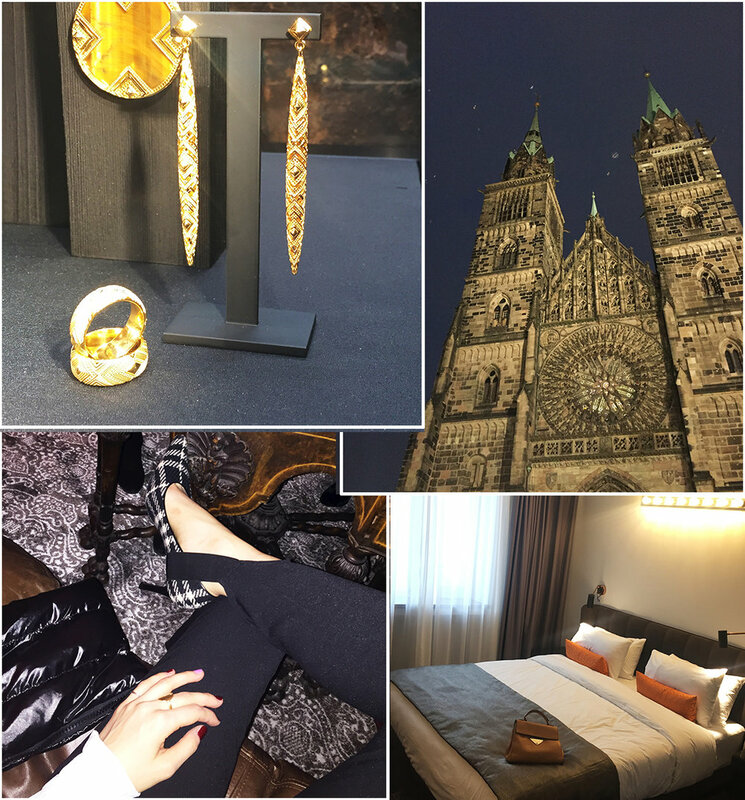 Thomas Sabo earrings || Amazing Nuremburg architecture || Details of my outfit || My hotel room at the Park Plaza Hotel. At the end of last week Thomas Sabo presented their SS17 collection at their new headquarters in Nuremberg. The collection reflected inspiration from an African aesthetic, mixing statement pieces with more classical everyday options. Having had a little sneak peek earlier in the year, my favourites are still the long gold earrings with beautifully elaborate detailing. A great piece for adding some luxury to a daytime outfit. If there is one place on earth that encapsulates Christmas it would be Nuremberg. Between the collection presentation and the amazing medieval style feast in the evening we managed to squeeze in a couple of hours of touristing and it was not far off stepping in to a German postcard. Amazing old architecture, stalls selling gluhwein and sweet treats was just the overdose of festive spirit I needed to get in to the mood for Christmas. It is on!